A pared back and more practical version of the Freak Innovision 2 concept watch introduced last year, the Freak Vision is the most advanced version of Ulysse Nardin’s signature watch to date and the flagship of its SIHH 2018 collection. 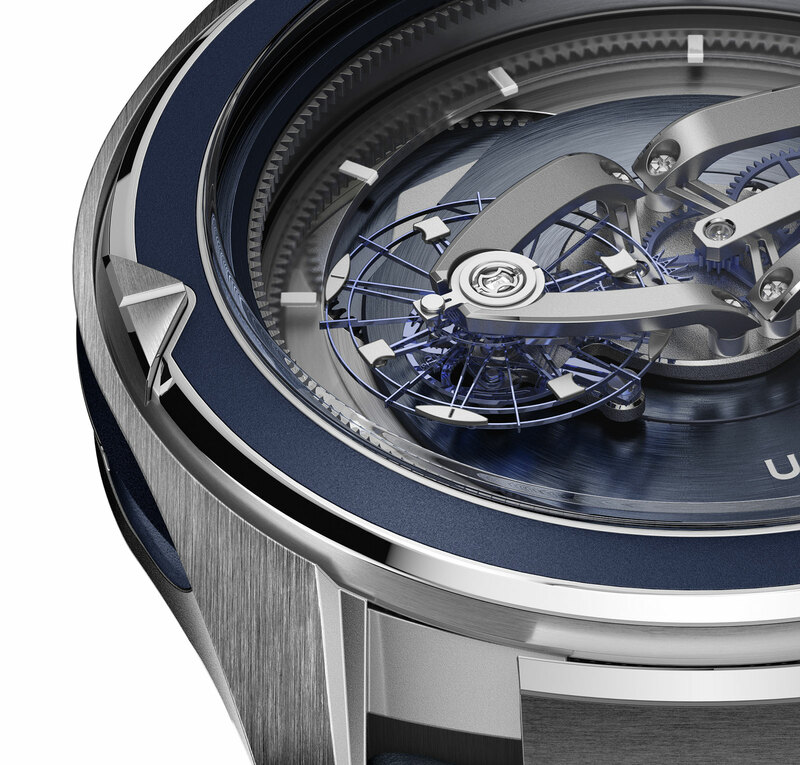 While the Innovision concept was a technical bombshell, boasting 10 innovations, including the ultra-efficient Grinder automatic winding system, the Freak Vision streamlines the technical advances into a few workable for day to day wear. The cal. 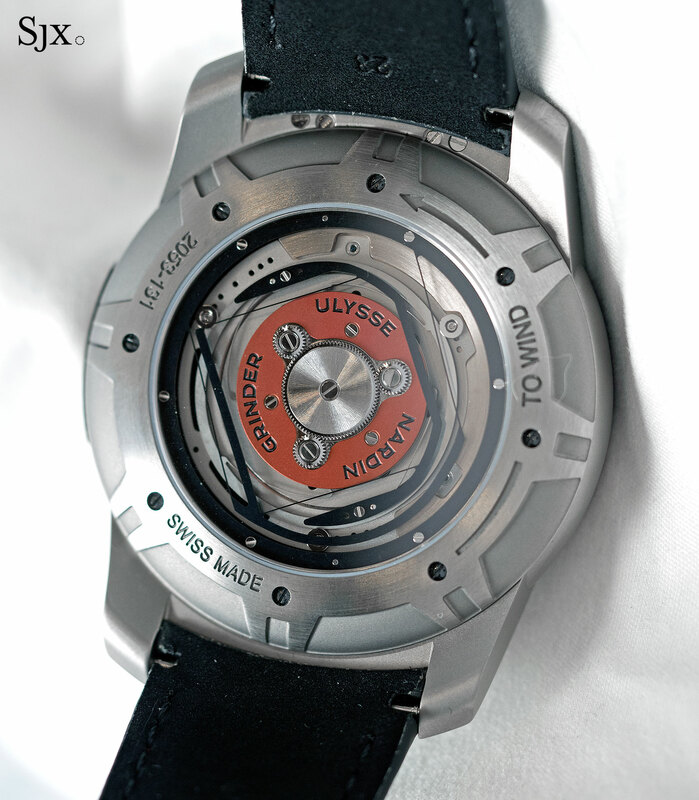 UN-250 in the Freak Vision boasts the same Grinder self-winding system, making it the first commercially available automatic Freak, which is a big deal if you know the Freak’s history. While automatic winding is commonplace in ordinary watches, manually winding – somewhat tediously via a notched case back to wind a gigantic mainspring – has always been a trademark of the Freak, until now. 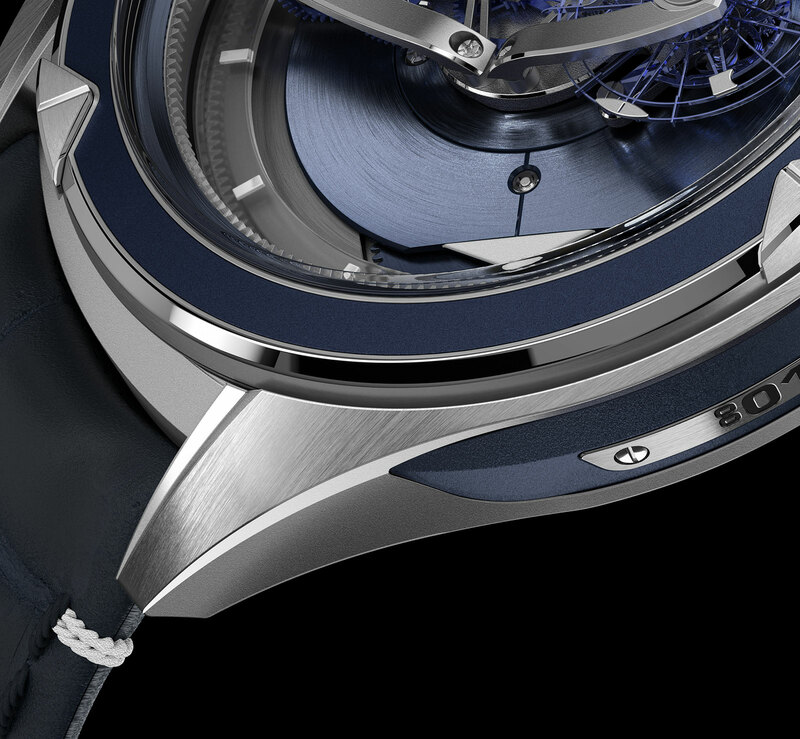 The Grinder mechanism exposed in last year’s Innovision concept watch. 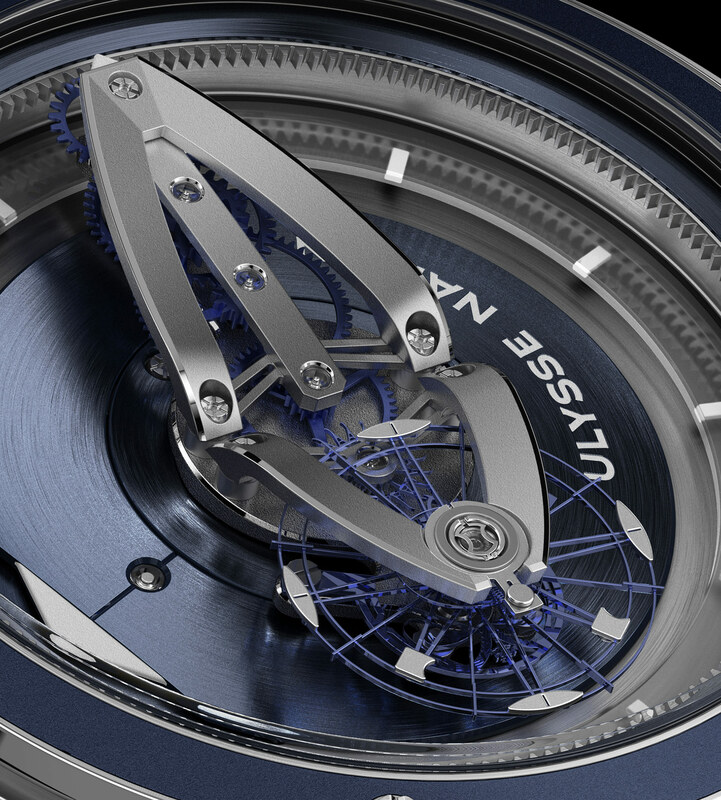 But the Freak Vision reins in escapement technology, doing away with the Dual Constant escapement in favour of the tried and tested Ulysse Nardin Anchor escapement first unveiled in 2014. Made entirely of silicium, the high efficiency escapement features a pallet fork that intriguingly has no pivots. Instead it is suspended between the escape wheel and balance roller, supported by silicon blades less than a hair’s width in diameter, mounted perpendicular to each other so as to keep them stable. A novelty here is the balance wheel. 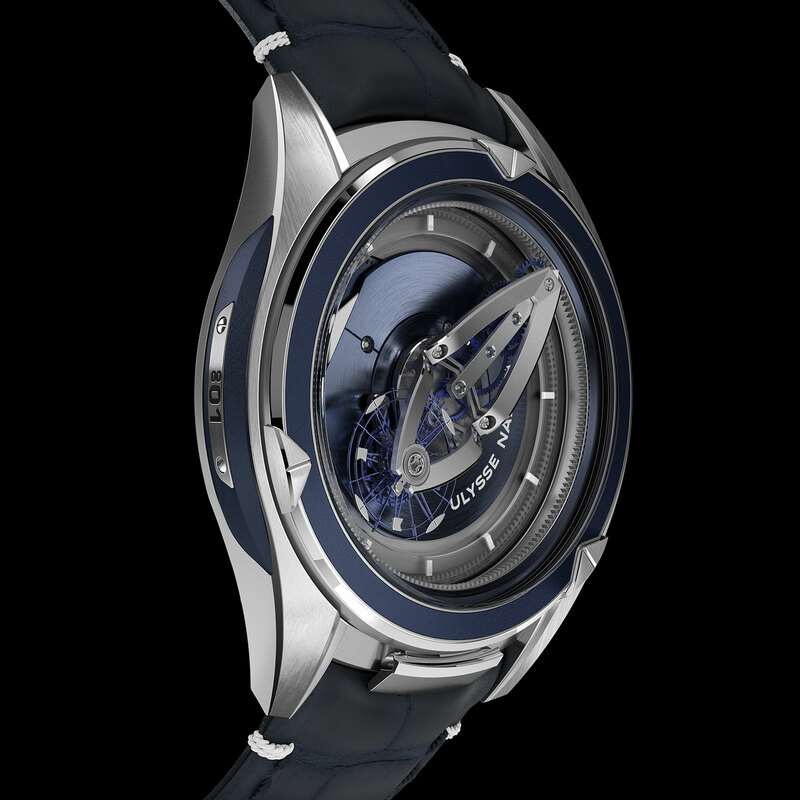 Instead of gold masses, the silicon balance wheel is now bonded with nickel inertia blocks that reduce its weight, increasing its efficiency and the movement’s power reserve. And the balance is self-compensating, thanks to silicium micro blades to stablise amplitude across positions. While much has advanced since the first Freak, the time display on the Freak Vision relies on the same principle – a baguette-shaped movement designed to rotate once per hour, functioning as the minute hand. But it’s been restyled, now with sleek upper bridge shaped like a boat’s hull. Measuring 45mm in diameter, the case is platinum and it adopts an entirely new, and slimmer, profile. While earlier Freaks were characterised by wide bezels for better grip to set the time, the Freak Vision has a thinner bezel made of titanium and lined with blue rubber with three titanium riders for easy winding. On top of that, the watch is fitted with a “box-type crystal” that sits above the bezel, accommodating the taller bits of the movement. That enables the Freak Vision to have a thinner case band and slimmer profile on the wrist. 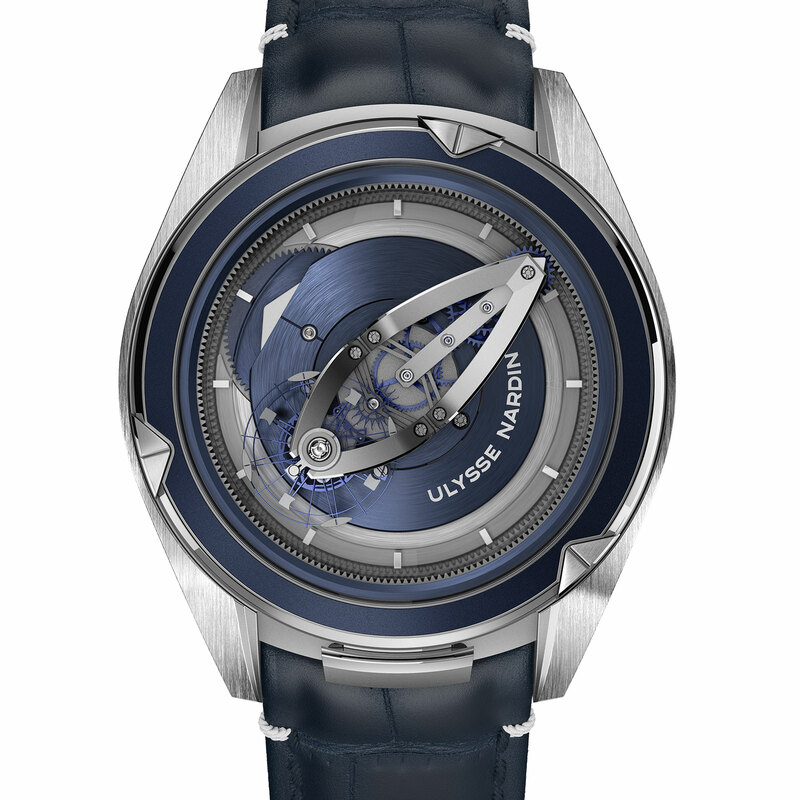 The Ulysse Nardin Freak Vision (ref. 2505-250) is priced at SFr95,000, or S$146,300. A retro military style watch with an in-house movement and modest price. Strength in jewellery and retail, while watches and wholesale numbers move little.